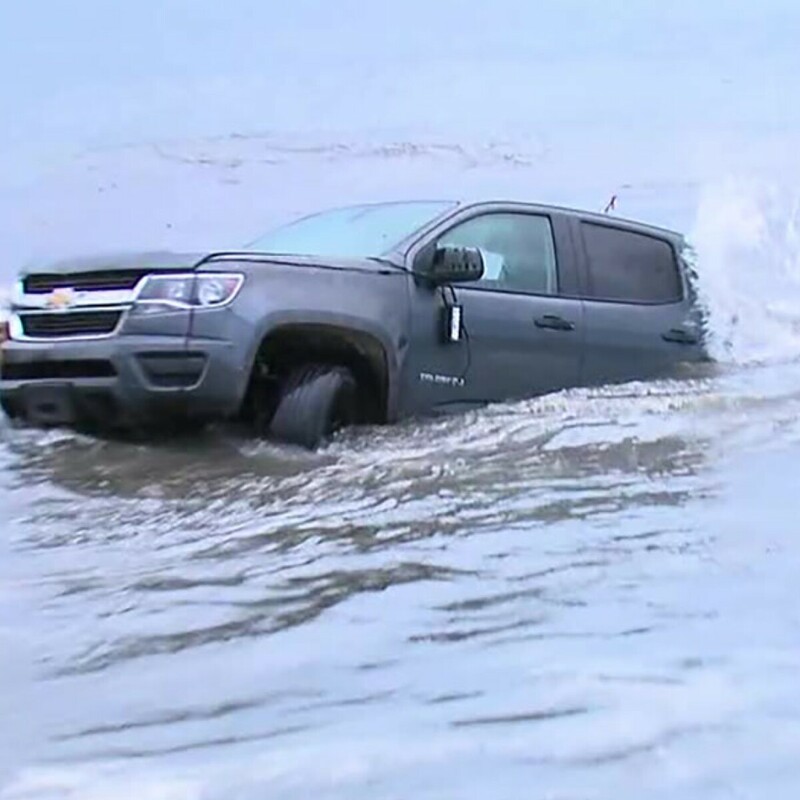 The tide was high this morning, and it was bad news for a man whose truck was stuck in the sand at La Jolla Shores. What happened??? Jk jk I read it. Ricky, this was almost me last month. Shouldn’t have been driving on the beach! la Jolla shores…guess he didnt see the 100 signs that say no driving on the beach..Karma. Good way to collect insurance.